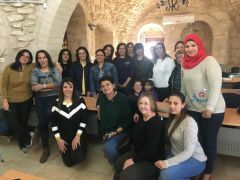 A few steps from the headquarters of the University of Bethlehem, in the ICP (Institution Cooperative Partnership), every wednesday morning the mothers of Saint Joseph College return to school. Fortwo hours a week about thirty ladies of all ages have the opportunity to take lessons held by professors and experts on various topics. Each topic is treated for about 20 hours in total, allowing them to deal with different subjects during the year and get a small diploma for each discipline. Courses range from the psychology and education of children, to cooking classes and home economics, all taught by professors and experts in the field. Naila Nasser, a social worker who has been working for ATS pro Terra Sancta in Bethlehem for a few years, is Gloria Nasser, a social worker and teacher at Saint Joseph. She has been responsible for the project for some time: “It’s an initiative born for twelve years does. First we received support from other associations, but when they failed, ATS pro Terra Sancta took over the project, allowing us to continue, “says Naila. 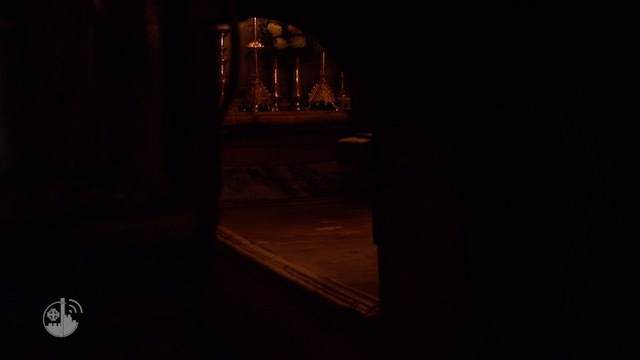 No matter their age, the number of children, religion (the course is attended by mothers and Muslims and Christians), or social background, all are willing to get involved to discover something new.